The AFS is the world's leading association of fisheries professionals, and it has established certification criteria. Search the Internet and ask your schools, agencies, peers – the American Fisheries Society continuously shows up as THE place to earn a professional certification in the world of fisheries. With an AFS Fisheries Professional Certification, your work as a fisheries professional and will put you in a category distinct from other fisheries professionals due to the world renowned reputation and the high standards of the certification process we offer. • When developing the certification, we cast a wide net on what we felt a professional should know, so holding a certification quickly establishes a certified fisheries professional as credible in a wide range of settings. 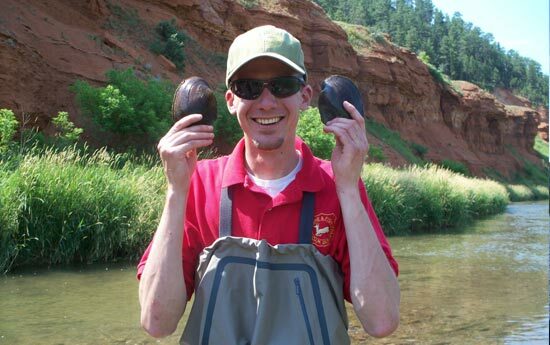 So certified fisheries professionals have a greater range of career opportunities. • In a competitive marketplace, this dedication sets you apart from others and demonstrates that you are interested in fisheries as a profession, not just a job. • Many jobs require certification for hiring and promotion, and your certification is the one most recognized. • It represents a credential necessary to perform their job. An AFS Fisheries Professional Certification can help you earn more money. • Many state agencies provide salary incentives for certified fisheries professionals. • Many in the private sector also compensate for certification. You will have earned an extra measure of professionalism. • Certification is a benefit when testifying or serving as an expert witness. • Certification is designed to encourage career-long enhancement of knowledge and skills, so it will demonstrates continuing professional development and career advancement to employers (showing your continuously improve yourself professionally, as it requires certification renewal at five-year intervals). Professional certification serves as a mark of accomplishment, as a board of certified fisheries professionals will have objectively reviewed your qualifications. • Certification is practiced across a broad range of professions, certification programs provide standards and guidelines for professional recognition. Becoming a certified fisheries professional will provide personal satisfaction. • Certification provides a measure of status and credibility among your peers. • Certification provides a measure of status and credibility within your Society. • Certification fosters broader recognition of fisheries professionals as well-educated and experienced, acting in the best interest of the public. • Mt. Parnell Fisheries. Inc. Thanks to AFS Member Dirk Miller for much of the information listed above.